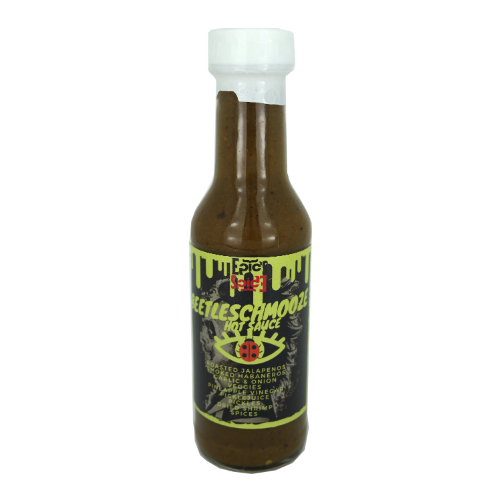 A uniquely tasting hot sauce with mild to medium heat delivered by jalapeno peppers, smoked yellow habaneros. A vegetable mix, pickles, pickle juice and dried shrimp gives this hot sauce a unique and flavor-packed taste. Goes best with NY style pizzas, seafood platter, mac and cheese, fish tacos, gambas, guacamole, cornbread, enchilladas, original recipe fried chicken etc..